Réminiscences+ bonus is a selection of 15 standards of the band revisited in a more punchy and electro style compared to the original versions but preserving what made the specificity of the Opera Multi Steel sound. Indeed, on boosted rhythms and fully re-recorded vocals, those new versions use sounds and “historical” instruments cherished by the band since its beginnings: TR 808, TR 606, TB 303, Elex, Casio VL-1, recorders, medieval choirs and various samples. The lyrics have been preserved in their entirety. The tracks are taken from albums such as Cathedrale (Un Froid seul, Du Son des Cloches..., Cathedrale) A Contresens (Les Sens, Las), Les Douleurs de l’Ennui, La Légende dorée (Fureur en Asie), Stella Obscura (Benedictus, Les Martyrs, Armide) and even from the very first vinyl EP of the band (Massabielle). The artworks of the disc and sleeve, as well as the video clip coming together, have been realized by Alan Cassiano, who based his graphic work on visual atmospheres inherited from the very first vinyl EP of the band, using images taken from the Encyclopedia (XVIII century) and Perspectives by Jan Vredeman de Vries (XVI century). 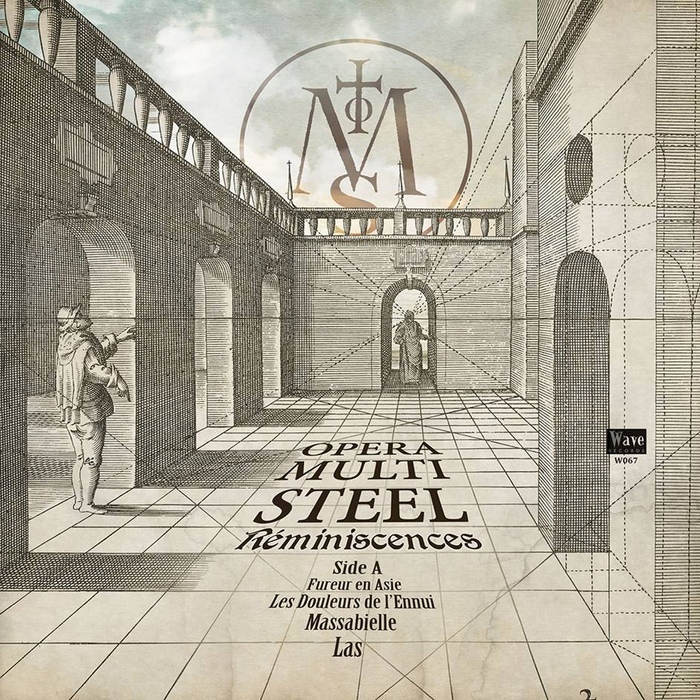 Finally, Reminiscences is not a simple compilation of tracks, but rather a kind of travel through the different ages of Opéra Multi Steel’s music rearranging/revisiting classic songs and images through nowadays eyes and ears.